P osition your company for innovation and growth as a global leader. The most successful global leaders lead from the edge. They understand context and the changing landscape in ways most people don’t. They understand that it’s not only how valuable your products and services are to the global markets that you serve, but also how appropriate your organization is in terms of its structure and operations to the culture and setting in which you conduct business. Learn the 10 essential traits successful global leaders embody; each leader doesn’t possess all 10, but each has a healthy mix. Learn how seven top executives used their strengths tie to global successes. Give your organization the edge in today’s global market. President & CEO, Executive Networks, Inc.
Annmarie Neal defines the leadership traits and actions needed for executives to be successful as the world moves from an international to a truly global and mobile economy. If every candidate read this book, my job would be much easier. Annmarie Neal illustrates the social network that drives innovation in business. A must read for both start-up founders as well as multinational leaders. A must read for everyone from CEOs, to business school students to entrepreneurs. Annmarie Neal identifies the essential traits required to lead in today’s global economy and turns conventional wisdom on end to say we need to re-think our current systems to develop global leaders of the future. This must read book from Annmarie Neal is like having your own dinner party with seven amazing global leaders who offer personal insights on of the future of leadership — and no cooking is required. Annmarie has captured the essence of global leadership, and how to become a global leader, in this incredible book. ‘Leading from the Edge’ is a must read for every executive and those who aspire to become one. VP, Talent Management Polycom, Inc.
Annmarie Neal has written a very important book for our time. 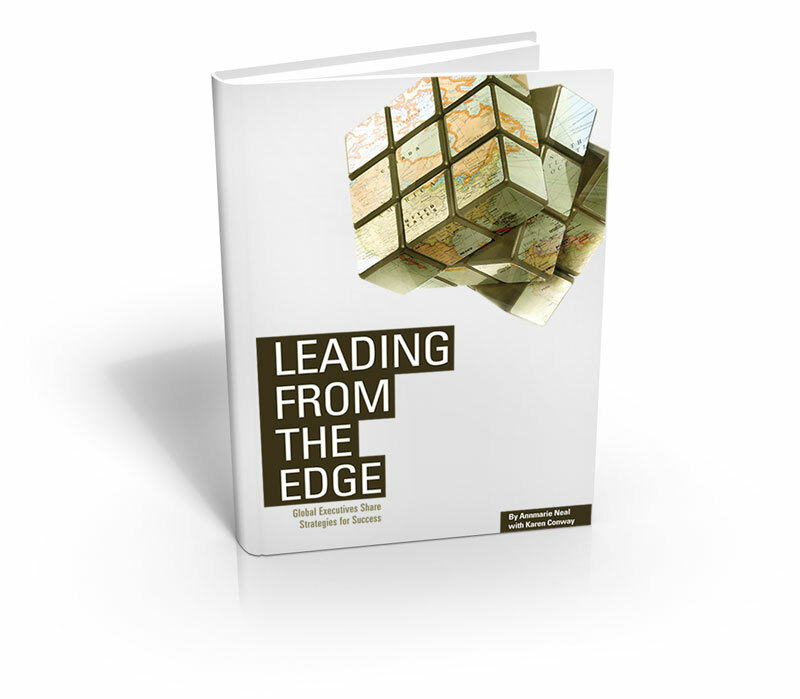 If you aspire to be a leader – or even a good parent – in a flat world, you need to read Leading from the Edge!